New listing This Amel 54 is being readied for launch and commissioning for the 2018 Caribbean season now! A distinctive and luxurious yacht built for passage making with a small crew or even single-handed. Well optioned for easy sailing with a ketch rig, electric primary winches, electric in-mast furling main as well as electric furling for the genoa and staysail forward. All sail controls are easily operated from the safety of the deep center cockpit, which also features a hard dodger. Convenience features also include a retractable bow thruster, generator, air conditioning, refrigeration, 2 deep freezers and a dishwasher, as well as separate washer and dryer units in the forward head. The 54's expanded storage and full beam en-suite master aft with island berth make her the ideal platform for extended cruising. 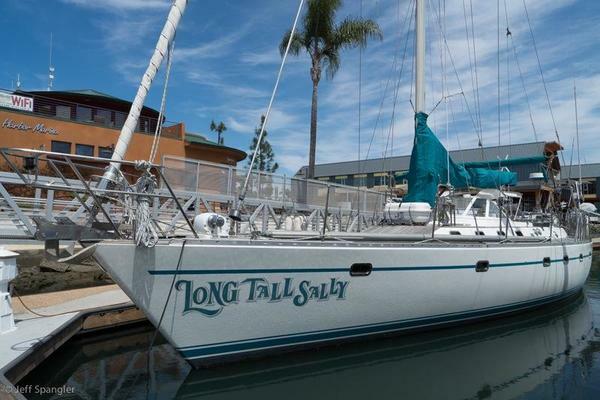 This 54 is very ready to go and located in the right part of the world to start cruising today! United Yacht Sales New Jersey would love to guide you through a personal showing of this 54' Amel 54 2006. This yacht for sale is located in Jolly Harbor Antigua & Barbuda and priced at $550,000. For a showing please contact us by filling out the form on this page and we will get back to you shortly!